The team at Rolly’s Electrical are experience in voice and data cabling. It is important to ensure that your office setup is not only reliable but will service your current and future office requirements. 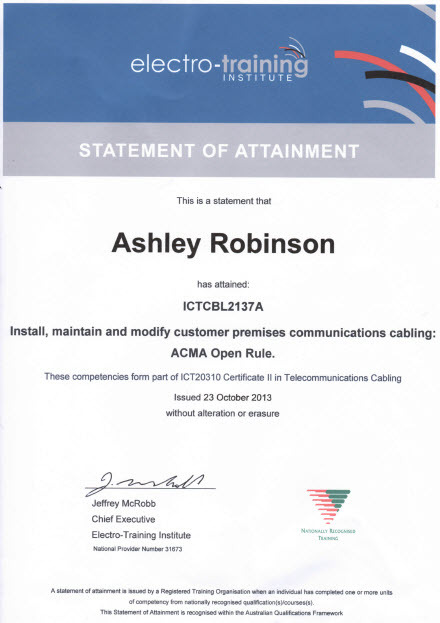 All of Rolly’s Electrical technicians have the required ACMA registration that is referred to as open cabler’s license. These are issued by the Australian Cabler registration services (ACRS) and ensure that your data cable installation will comply with guidelines set by the Australian Communications Authority. All of our technicians take the time to ensure the needs and requirements for your home or business and will customise the right data cabling for you.